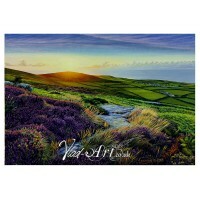 Welcome to Vlad Art gallery presenting a collection of hand-drawn pencil and watercolours artworks about landscapes and wildlife of the British Isles by Vladislas, a Welsh based artist. His stunning work is now for sale in Limited Edition art prints that have been produced over the last few years. During that time people have talked about it and asked again and again to see more of his work. Reluctant to sell his originals, Vladislas was so often asked to sell copies. He finally decided to offer his work as Fine Art ‘Limited Edition’ giclée reproductions. We hope that you enjoy browsing through this site and like the various artworks on display. Vladislas will introduce more of his work gradually so please check this site again. Thank you for your visit. Please note: The colours may vary to a certain extent depending on the monitor used to view this site. 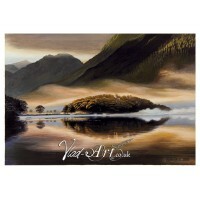 This is a watercolour painting offered as a Fine Art LIMITED EDITION reproduction by Vlad-Art, pain.. 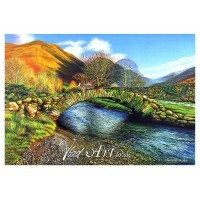 This evocative watercolour painting by Vladislas of ‘Wasdale Head Inn’ is offered as a Fine Art LIM.. 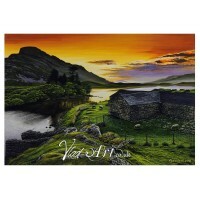 This vivid representation is a watercolour painting by Vladislas of Great Langdale Valley offered as.. This haunting watercolour painting by Vladislas of Old barns in Cregennan in North Wales is offere.. 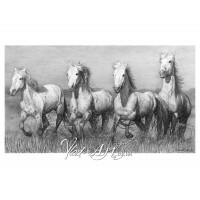 These wild white stallions running free in Camargue is a limited edition reproduction of a pencil .. 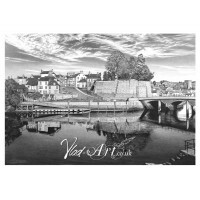 This pencil graphite drawing by Vladislas of Cardigan is a limited edition reproduction by Vlad-Art.. 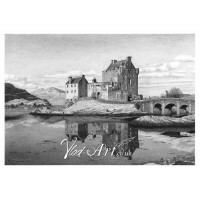 This life-like pencil drawing of Eilean Donan Castle created by Vladislas is offered as a Fine Art.. This beautiful pencil graphite drawing of Canterbury Cathedral is a limited edition reproduction by.. 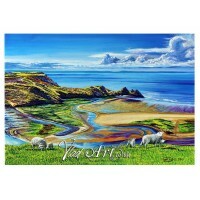 This is an OPEN EDITION reproduction of “the three cliffs in the Gower”, presented by Vlad-Art from .. 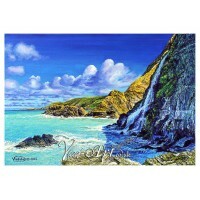 This is an OPEN EDITION reproduction of “Tresaith waterfall”, presented by Vlad-Art from an origina.. 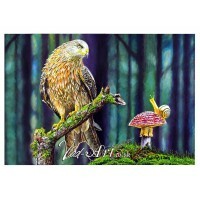 This is an OPEN EDITION reproduction of a red kite presented by Vlad-Art from an original painting.. 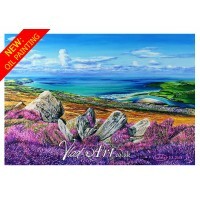 This is an OPEN EDITION reproduction of Newport in Pembrokeshire presented by Vlad-Art from an orig..